Sixteen years after the Concorde supersonic airliner took its last flight, a handful of companies are working to create a new generation of airliners capable of flying faster than the speed of sound (Mach 1, or about 770 miles per hour). Firms like Boom and Aerion promise to be flying passengers at 1,000 miles per hour or more by the mid-2020s. But some companies are working toward passenger planes that will leave these supersonic jets in the dust. These so-called hypersonic aircraft would be capable of flying at or above Mach 5, or about 3,800 miles per hour. At Mach 5, a trip from New York City to London would take just two hours instead of the typical seven or eight. 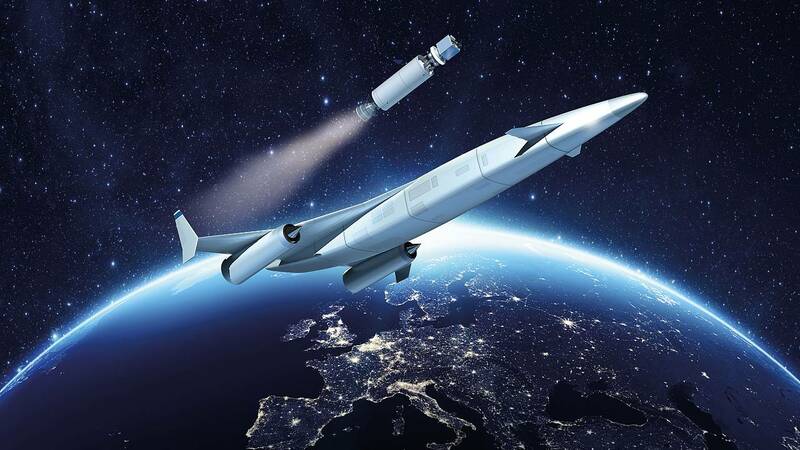 An English company claims to have taken a big step toward a hypersonic future. 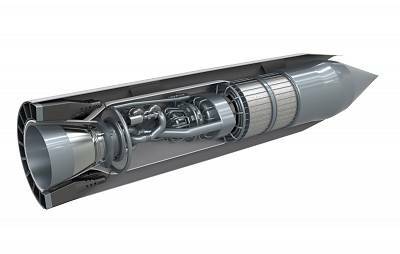 Reaction Engines, based in Oxfordshire, announced Monday that it had successfully tested an engine cooling system that could support aircraft flying at Mach 3.3. If subsequent tests go well, the "pre-cooler" system could help aircraft reach Mach 5 or higher — and possibly power a spaceplane. The system addresses one of the biggest challenges in the development of hypersonic airplanes: controlling the buildup of extreme heat within engines. At Mach 5, air temperatures inside an engine can reach 1,800 degrees Fahrenheit. That's enough to melt metal, and it interferes with the combustion that generates the propulsive power. The pre-cooler lowers temperatures by passing super-hot air over thousands of tiny coolant-filled tubes. In the first round of tests, conducted in March at a facility at the Colorado Air and Space Port in Adams County, researchers used a fighter jet engine to blast the experimental device with air heated to 788 degrees Fahrenheit. That's just about the temperature that an engine would experience while traveling at Mach 3.3, or 2,532 miles per hour. The device cooled the airstream to a manageable temperature in less than 1/20th of a second, according to the company. The successful test was "a hugely significant milestone," Reaction Engines CEO Mark Thomas said in a statement. Other experts expressed enthusiasm, too. "It's very exciting," Jeffrey Hoffman, an aerospace engineering professor at MIT, said of the successful test. But, he added, "they're basically trying something that's very new, pushing materials to extreme limits, and there's a lot of unknowns in there." In future testing, the pre-cooler will be challenged with temperatures even higher than the 1,800 degrees Fahrenheit typical of flight at Mach 5, the threshold for hypersonic flight. And Reaction Engines said craft powered by its cool-as-a-cucumber engine could someday reach speeds of Mach 25, or 16,537 miles per hour, in space. Just not anytime soon, Hoffman warns. "There's a long way to go before we're flying hypersonic vehicles from the surface of the Earth up into orbit," he said. "We just have to wait and see." WANT MORE STORES ABOUT INNOVATION?